Babyology is ecstatic to annonuce the next incredible trade show event from Playtime – Playtime Paris! From 29 to 31 January 2011, Paris will host this groundbreaking biannual event in children’s accoutrement and Babyology will publish coverage of the brands after the show! Babyology is a sponsor this year, a role we are most honoured to take on. 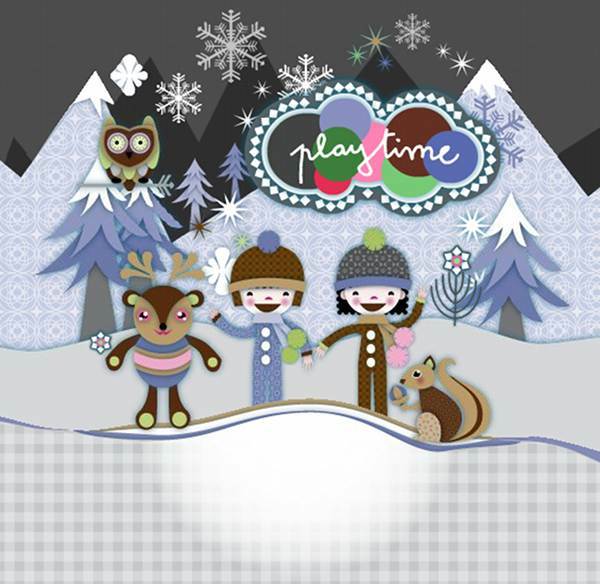 We’re loving the wintery artwork for Playtime Paris so stay tuned for a plethora of pretty goods for babies and kids, plus maternity wear. If waiting patiently isn’t your thing, perhaps sate yourself with our past coverage of Playtime Paris, Playtime Tokyo and Playtime New York. The shows are on twice a year so much of our past editorial is still pretty current!